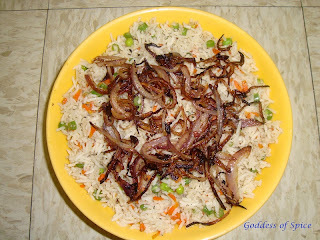 This is simple and delicious alternative fried rice, prepared without soy sauce and ajinomotto. 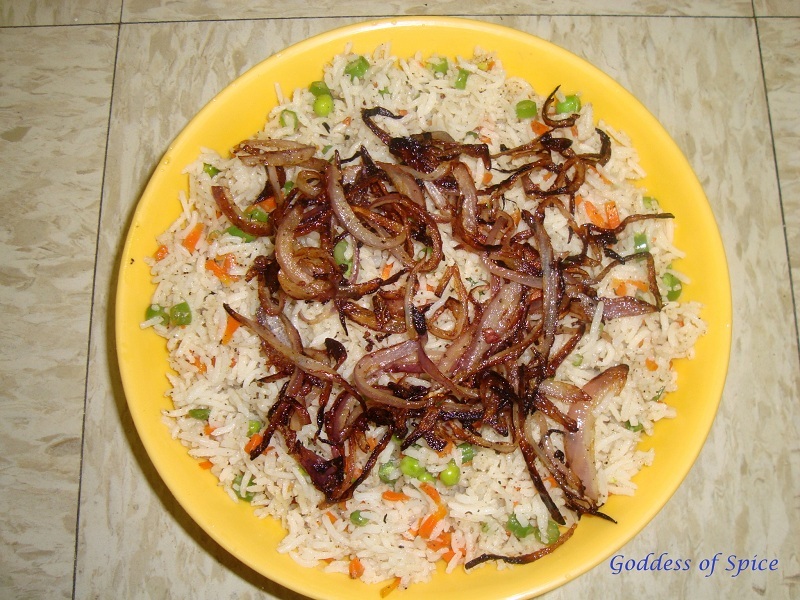 This is a low sodium and nutritious version of the fast food style fried rice which can be made in a jiffy without even worrying about whether we have soy sauce in our pantry. 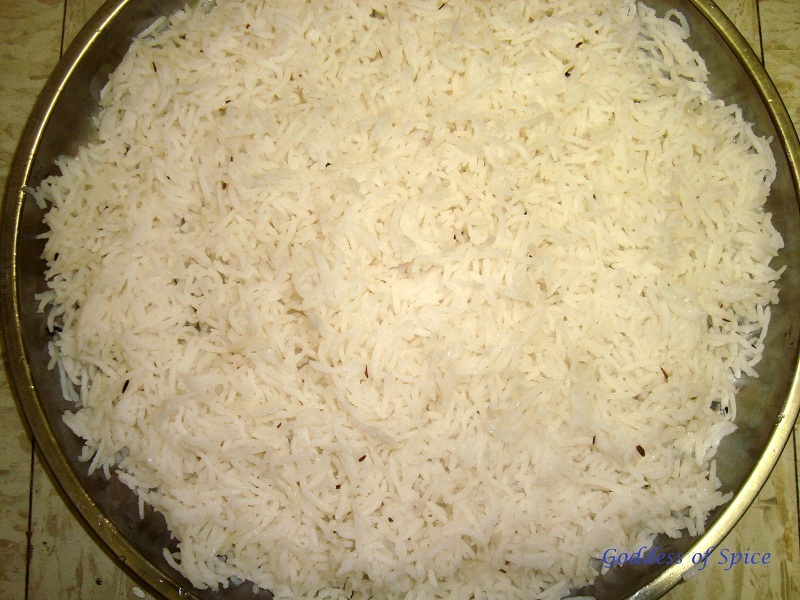 Wash and soak the rice in enough water for 10-15 minutes and drain. Add rice, little salt, black jeera and 1tsp oil in boiling water. Cook uncovered on medium heat till rice is tender. 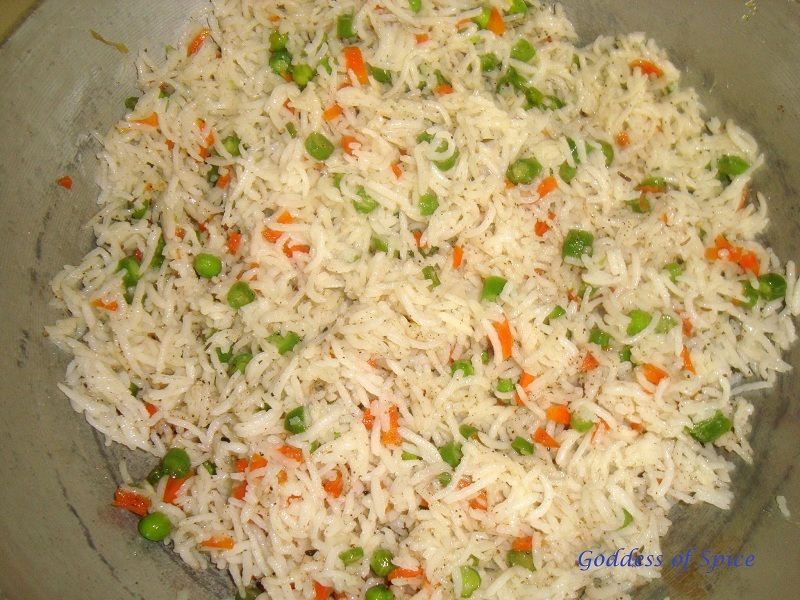 Take care, the rice should not be overcooked and each grain of rice should be separate. When rice is done, drain the excess water and spread the cooked rice in a large plate and set aside. 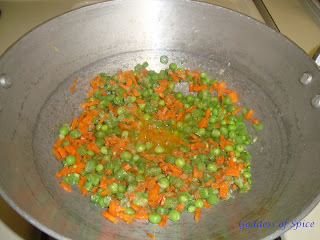 Heat oil in a large pan and stir fry all the chopped vegetables, ginger garlic paste and chillies for 3-4 minutes. Vegetables should not be overcooked, they should be crisp. Mix salt and pepper to taste. Then add crispy fried onion on top of the fried rice (optional) and serve hot.